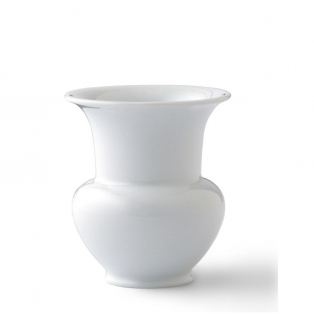 High-quality white porcelain vase by KPM Berlin. A fidibus is a long wood shaving used to light a fire. As these shavings easily fall to pieces, the receptacles crafted for them were designed to be functional. Such design perfection inspired Karl Friedrich Schinkel, the Classicist Prussian architect, to design the FIDIBUS vase around 1820. 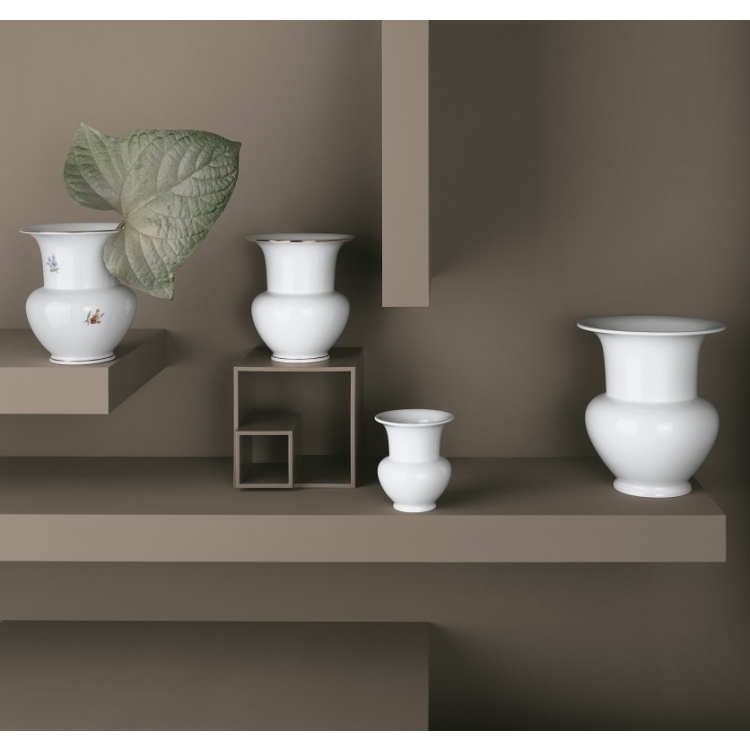 It has been a permanent feature in KPM’s portfolio ever since.